Short breaks available: (Min 3 nights) Subject to availability. FULL WEEKS ONLY DURING JUNE, JULY, AUGUST, SEPTEMBER. A £50 refundable bond is to be added to the prices below. 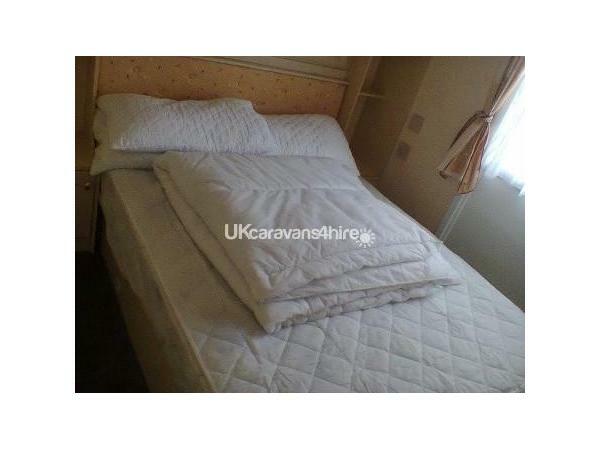 The bond will be refunded on condition there is no damage to the caravan and it has been left clean and tidy upon inspection and on the return of the keys and barrier card. 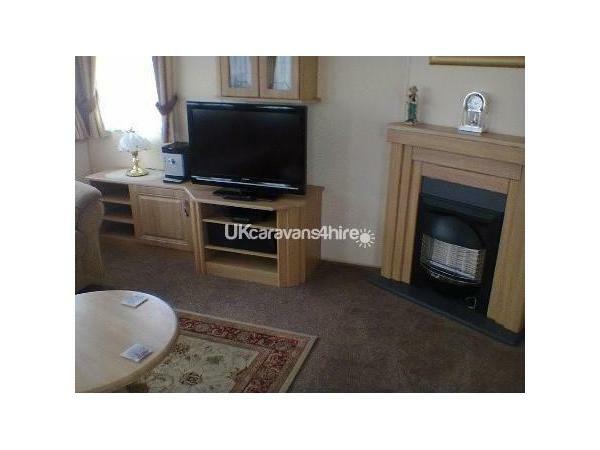 The caravan for rent is equipped with a 32-inch colour TV with free view, refrigerator, full size cooker and microwave, gas fire, electric heating, pillows and duvets, cutlery and crockery and a toilet and large shower. Parking is available next to your holiday home. 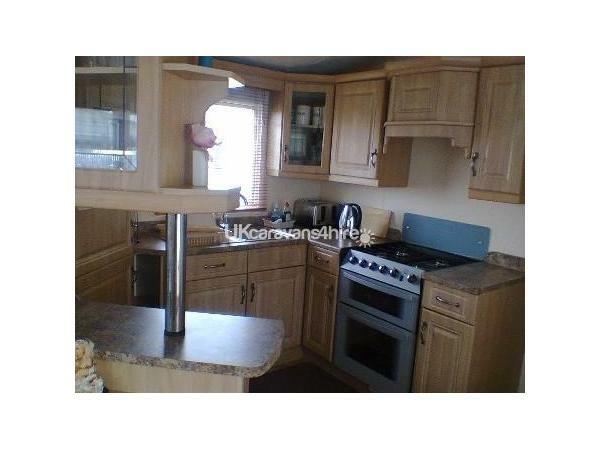 There are three bedrooms, one double and two twins each with fitted Wardrobes. All bedrooms have electric heaters fitted. 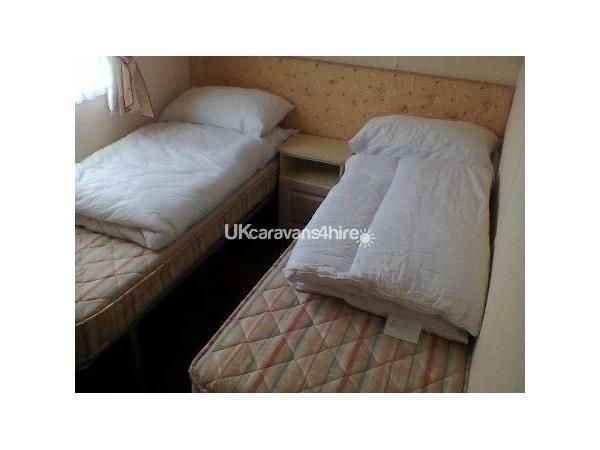 You will need to bring your own bed linen and towels etc. Smoking is not permitted in our caravan. We are in the middle of sea lane, which is a very short walk to fantasy Island and the 7 day east gate Market, 5 minutes walk will take you to the beach. Pubs/clubs, restaurant, takeaways, fish chip shops are a few minutes walk of the park entrance. 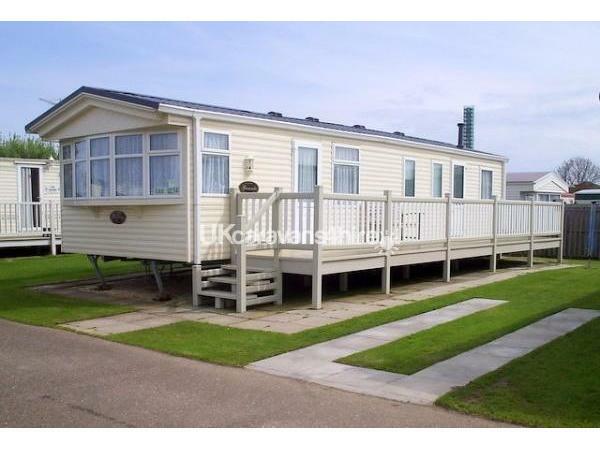 A short car journey will take you to Skegness, in opposite direction is chapel St Leonards. Kingfisher Holiday Park also has a launderette and small supermarket as well as a Children’s playground all of which are only a few minutes’ walk of the caravan. There is only a short walk from the caravan to BJs show bar where they have live entertainment for the family, As well as a variety of attractions within walking distance. (Min 3 nights) subject to availability. Review: "Just wanted to say that we have had a fantastic holiday at your caravan, we couldn't have wished for a better week. The weather has been fantastic.... 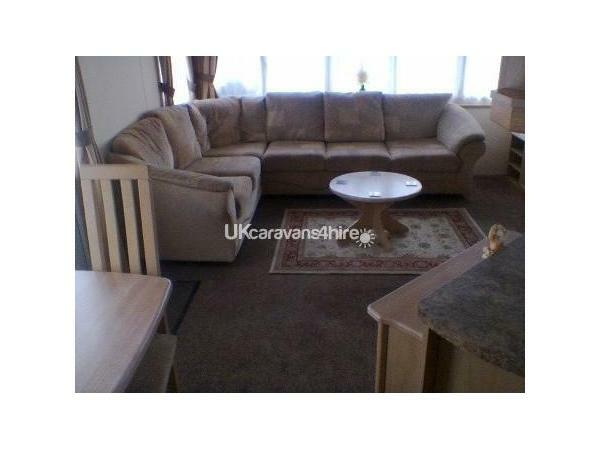 Your caravan is smack bang in the middle of everything, just perfect for us!!!! 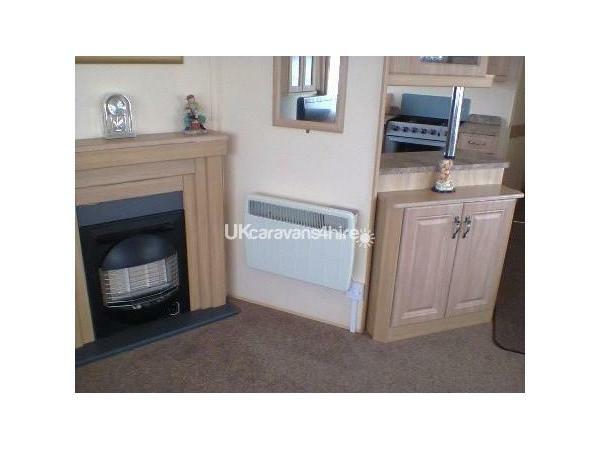 Many many thanks,"
Review: "It is a lovely caravan and it is close to the market and the rides at fantasy island. We book and go every year." 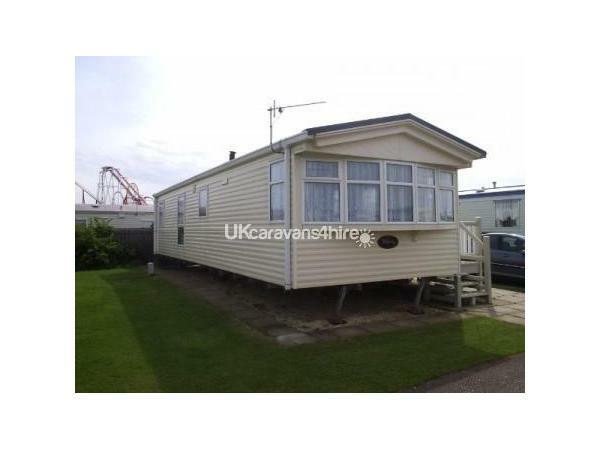 Review: "My wife and I have hired the use of this caravan for several years, and apart from the pleasant location of the caravan on the site we have always been impressed by the high standard of its presentation and maintenance. 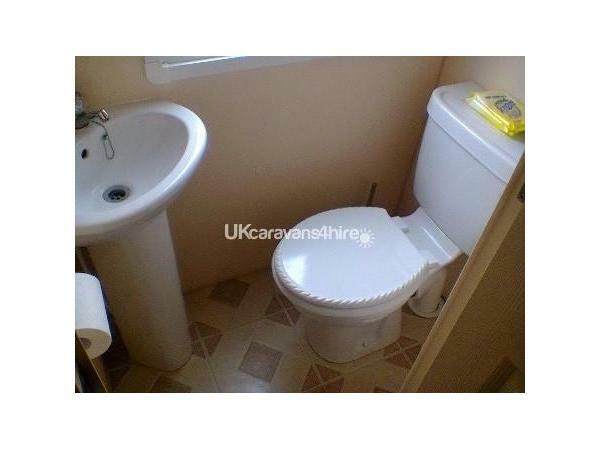 We would happily recommend both the caravan site and the caravan to anyone thinking of hiring a caravan in this area. " 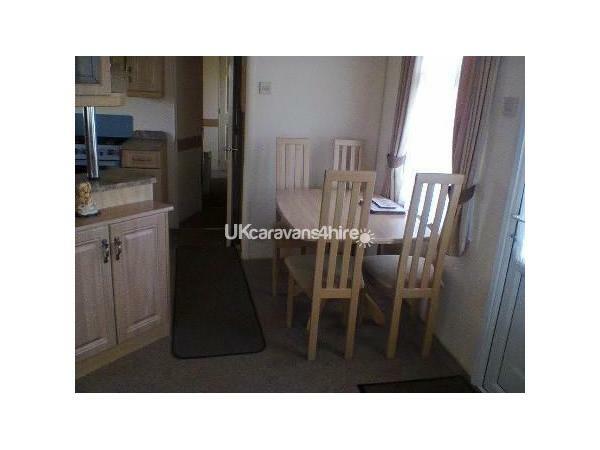 This was our first little holiday as a family of 5 & it couldn't have been better staying in this caravan! It's cozy, spacious, has everything you need & with all the attractions & entertainments in walking distance it's in the perfect spot. It was nice to know that after a good, long day out you we're going back to a homely place to relax for the rest of the night. 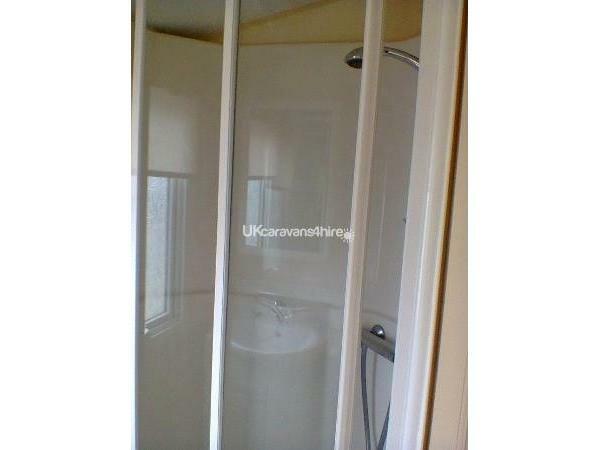 Caravan was spotless, very clean & tidy. Excellent position for getting around. Would definitely book again. Thanks Eileen & Peter for an excellent holiday. 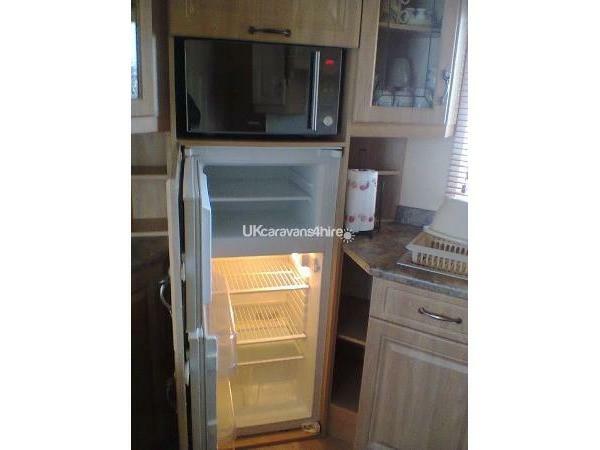 The caravan had everything you wanted to make it feel like home from home, you didn't want for anything, it was immaculately clean. The response was very quick when making the booking, with good correspondence every step of the process. The site was well maintained, with the van located in a quiet area, close to the local bus routes. It was so enjoyable have booked the caravan for next year.